Gluten intolerance symptoms -working out if you have them can be very difficult and complicated. There are a wide range of symptoms that can fall into this category and they can be caused by three different conditions: wheat allergy, celiac disease and non-celiac gluten sensitivity. The term gluten intolerance is a general term that is often used by people suffering from any one of these problems. If you are suffering from gluten intolerance symptoms then you need help and advice no matter what your difficulty turns out to be. Read on to check on the different symptoms and see if they fit with your own personal experience. Gluten is a combination of two different proteins called glutenin and gliadin. 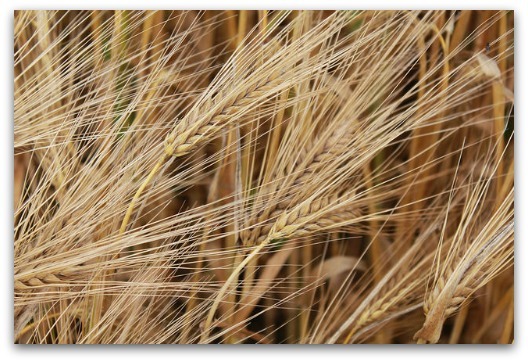 It is present in wheat and to a certain extent in barley and rye to help nourish the seed. We like to use it in our food as it makes dough elastic giving bread for example its lovely chewy texture. 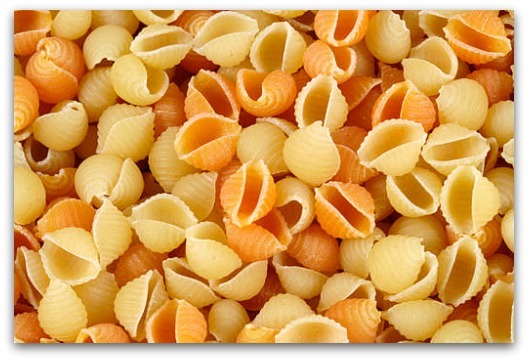 The highest levels of gluten are found in wheat and so anything made from wheat like bread, biscuits and pasta will contain gluten. 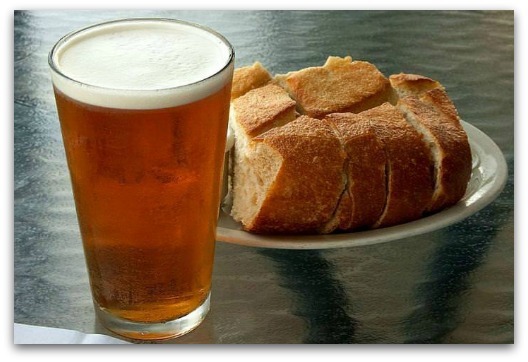 Some gluten is found in barley and rye, so rye bread and beer which is normally made from malted barley or wheat will contain gluten. Normally distilled drinks like whiskey will not have any gluten left in them. It is important to note that many foods which do not obviously seem to have wheat, barley or rye in them will contain hidden sources of gluten. For example flour is often used as a thickener in many dishes and so that TV dinner or packet gravy may cause you to have gluten intolerance symptoms. It is therefore very important to read all food labels if you are trying to avoid gluten. Look out for the words starch, dextrin, malt, soy, brewer's yeast and seitan which all mean that gluten is present. Also be aware that many processed meat products like sausages and burgers contain breadcrumbs and dressings often contain malt vinegar and thickeners made from starch. Another thing you need to think about is that some medications contain gluten usually in the form of starch in the inactive ingredients. Excluding gluten from your diet requires full time surveillance as over the years wheat has been added to all manner of foods. We are lucky though that more and more gluten free food products are coming on to the market that are specifically formulated for people who are plagued by gluten intolerance symptoms. Are My Gluten Intolerance Symptoms Caused By Celiac Disease? It is possible that you have celiac disease because it is a very under-diagnosed illness. Around 1 in 100 people in developed countries suffer with this illness but many of them do not realise what is causing their symptoms. It is estimated that 500,000 people in the UK and 3 million in the US have celiac disease but do not know it. The other problem is that celiac disease presents with a wide variety of gluten intolerance symptoms which can often be mistaken for other conditions. Celiac disease is an auto immune disease which is a disease where the immune system wrongly attacks our own bodies. It is also called coeliac disease (UK) and celiac sprue. In our small intestines we have little projections of the gut wall called villi which look like many little fingers sticking up. Imagine a piece of material which is folded up into many pleats. As our intestines contract (called peristalsis) it is a bit like a wave moving through the sea and the tiny villi are like reeds sticking up in the water and waving and helping to move the food along. Their purpose is to increase the surface area of the small intestine and absorb nutrients from our food. They pass the nutrients into our bloodstream so they can be circulated around our body ready for use. In people who have celiac disease the immune system wrongly sees gluten as a threat and in response it attacks the villi causing inflammation and damaging them. The tops of the villi are flattened off and cannot perform their main function of absorbing nutrients leading to malnourishment and other serious health problems like anemia. People with untreated celiac disease have a higher risk of other auto-immune disorders like type 2 diabetes and multiple sclerosis. There is a genetic component as there is often a family history of celiac disease but this is not well understood and is not always obvious. What are the Main Gluten Intolerance Symptoms of Celiac Disease? As we have already mentioned celiac disease can present with a wide variety of symptoms and so this is one of the reasons it is so under-diagnosed. Some estimates have put the number of different symptoms at 300! It is often confused with irritable bowel syndrome, lactose intolerance, inflammatory bowel disease, chronic fatigue syndrome and fibromyalgia. This is a disease which mainly affects the small intestine and the gluten intolerance symptoms suffered by children are usually related to the gut. Some adults also have gut symptoms but many adults do not have any bowel symptoms at all and so this can be a cause of confusion when searching for a diagnosis. Do I Have a Wheat Allergy? Allergies are becoming much more common in our modern society and foods which our ancestors could eat with no problem are causing many of us to suffer from a variety of symptoms. 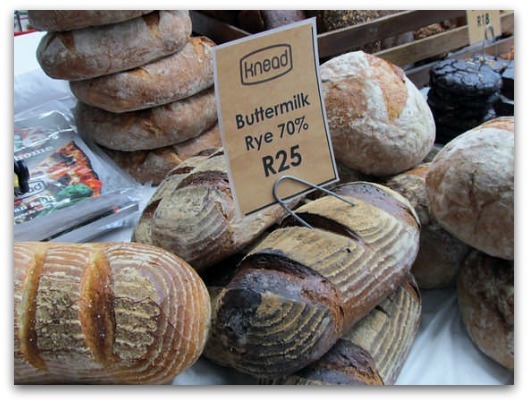 Many people think that they have gluten allergy symptoms but is it really the gluten? You have probably heard about people being allergic to nuts, shellfish and eggs but did you know that some people have allergic reactions to wheat? This is an allergic reaction to other things in the wheat than the gluten. A true allergic reaction happens when your immune system overreacts to something which in most people would not cause a reaction and the immune system goes into overdrive unleashing a battery of horrible symptoms. These gluten intolerance symptoms are a bit more severe than normal and if they are not tackled immediately they can be life threatening. One study in Italy found that in a group of people who thought they had gluten intolerance symptoms 0.51% had a allergy to wheat. This affects children more than adults many of whom will grow out of their allergy by the time they are 3-5 and most by the age of 12. If you or your child suffers symptoms like this then you need to see an allergy specialist to be tested. If the symptoms are severe then you could be dealing with a case of anaphylaxis. It is important to recognize when this is happening because it is an emergency situation and you should call the emergency number in your area as the sufferer needs medical attention immediately. A true wheat allergy is rare but like other allergies it should be taken very seriously. Be aware that you could have a reaction just by touching or breathing in the wheat. For example some people react to play-doh/playdough. So what if your gluten intolerance symptoms are not caused by celiac diease or a wheat allergy? Some people have what is termed non-celiac gluten sensitivity. In other words they are getting symptoms when they eat products containing gluten but they have tested negative for celiac and wheat allergy and there is no damage to the gut. The symptoms suffered by people with gluten sensitivity are very similar to those of celiac disease including tiredness and depression but adults tend to have more gut symptoms such as diarrhea, constipation, bloating, gas and abdominal pain. If you are suffering from gluten intolerance symptoms then it is a good idea to ask your doctor for screening tests. Many people have long term health problems without even realizing that they have celiac disease, a life long serious illness which is hugely under-diagnosed. All close relatives of people with celiac disease should be tested. If you or your child have experienced any allergy symptoms then you should ask to see an allergy specialist. Gluten Intolerance Symptoms - What Tests Can I Have Done? There are a variety of tests for celiac disease but it is extremely important to remember that you should keep eating normal amounts of gluten up to and all the way through the testing process. If you have reduced or eliminated gluten from your diet then your results will not be accurate. It is best to eat the equivalent of 4 slices of bread a day for about 2 weeks to 3 months prior to testing and throughout the testing process. How long you will have to include gluten in your diet for depends on how long you have been excluding it for and how severe your symptoms are. Your doctor will advise you. Be aware that if your test comes back negative then this does not always mean that you are free from celiac. A few people curiously do not make the antibodies shown up by the normal tests and so it is worth asking for specialist testing for IgA deficiency. If you test positive for celiac disease then you will be asked to have a biopsy of the small intestine wall which will confirm the diagnosis and give more detailed information about the damage present. Biopsies are often not recommended for children. Some people with negative blood tests but lots of symptoms will only get a diagnosis confirmed after biopsy. This will be done using a colonoscope. See here for more details about the procedure. Genetic testing is also available but although nearly all people with celiac disease have one or both celiac genes (HLA DQ2 and DQ8) many people carry the genes but do not have the disease. Only about 1 in 30 people with the relevant genes will go on to progress to having celiac disease. To see if you have an allergy to a substance like wheat to begin with a blood test called a specific IgE test will be done. This looks at the number of IgE antibodies that your body makes when provoked by a particular substance. This can often be done by your family doctor. The next line of testing is a skin prick test. This involves pricking the skin with a very small amount of the suspected substance and then waiting 20-30 minutes to see if there is a reaction. This test is easily done and not painful. If the skin becomes red, raised and itchy then this a positive result showing that you are allergic. These tests are normally done in specialist allergy clinics and usually a range of substances will be tested as many people are allergic to more than one thing. Other tests include skin patch tests normally carried out by dermatologists and food challenge tests where increasing amounts of a suspected food are given to see if a reaction happens. This must be done in a hospital with emergency staff and equipment ready in case of a severe reaction. It is important to have children retested periodically as they often grow out of allergies as they mature. If this happens then it is important to know so that foods can be re-introduced to their diets or other substances not be kept on the 'do not touch' list. Be wary of other types of allergy testing which are often offered in non-medical settings as they are not scientifically proven. In order to decide whether you have gluten sensitivity, tests for celiac disease and/or allergies should be done first depending on the gluten intolerance symptoms that you have. If these tests come back negative then the only way to diagnose gluten sensitivity is to exclude gluten from your diet and then reintroduce it to see if the symptoms return. It is important to keep good records with use of a food diary which notes which foods are eaten and which symptoms you have. Are Gluten Free Diets Just a Fashion? Not for people who have Celiac disease or a wheat allergy. For these people gluten free diets are literally a life saver. It is true that more and more gluten free products are coming onto the market to cater to those who feel they have symptoms of gluten intolerance. Some of these foods are gluten free in their natural state anyway, so it does look as if some food manufacturers are jumping on the latest bandwagon. You cannot really blame people though for trying a gluten free diet if they are having health problems because although many doctors are very good, they do not have all the answers and some are not ready to listen. However, if you are having unexplained health problems I would be cautious about automatically taking up the latest go-to diet on the market unless it is part of a short term trial following testing to see if your gluten intolerance symptoms improve or disappear. Gluten free diets are essential for those who need them but they have to be followed with extreme care because by excluding certain food groups from your diet you risk becoming malnourished. Studies have shown that some people are excluding gluten from their diet unnecessarily. It is not a good idea to self diagnose yourself. I would definitely recommend getting tests done under medical supervision if you are suffering from gluten intolerance symptoms. As mentioned earlier in order for the test results for celiac disease to be accurate you have to carry on eating foods containing gluten. So the main message is if you think you may have gluten intolerance symptoms before you reduce or eliminate gluten from your diet see your doctor and get some testing done. If everything comes back negative then you can try an elimination diet for a while and then see if re-introducing gluten containing foods sees a return of your symptoms. Going completely gluten free is only for those who have tested positive for celiac disease, a wheat allergy or have gluten intolerance symptoms in response to gluten containing foods. It is not a good idea to follow a gluten free diet if you have no symptoms as you may miss out on nutrients. DiarrheaNurse hopes that a few people will be crossed off the undiagnosed celiac disease list by reading this article and that whatever your health problems are you find an answer soon. It is very difficult coping with long term health problems especially if you do not have a diagnosis. Although it is not easy following a strict gluten free diet it is becoming easier all the time with more and more gluten free products becoming available and it is much better than the serious health implications of having gluten intolerance symptoms which may be hiding a serious undiagnosed disease. Find out more about the symptoms of this disease and how it is becoming more common. Find out what you can and can't eat and how you can benefit from treatment. Find out which symptoms to look out for and why you may be getting them. It is not always the gluten.